Here’s to something BRAND new! Notice anything different? No, you’re not in the wrong place. Airlines SA has made way for a new online travel booking destination. From now on you will use ClickClickGo for all your travel booking requirements, whether local or international! Why a re-brand you may ask? Besides the fact that Airlines SA was in need of a serious makeover, the brand was also expanding rapidly, which called for a more flexible solution to allow for future services that our customers might require. The Airlines SA brand was quite limiting in terms of future expansion and with a few new plans up our sleeves, we needed a one brand umbrella to accommodate these. We want to make travel bookings easy and for that you need one destination. The time was right to update the brand, change its name and give it a fresh brand new look, including a new logo and brand colours, as well as a completely new brand identity. The screaming pink is happy, vibrant and modern, because planning a trip shouldn’t be all serious! Whether we like it or not, most things these days happen with a click or two.The internet rules our lives – we shop, we read, we play, we communicate, we pretty much run our lives through the clicking of buttons! Click, click, click click. The click is powerful. Day to day tasks like banking and shopping have become easier and quicker to manage, and travel should be no different. We felt that the name ClickClickGo will resonate with travelers, make it easier to remember and will position itself as the top of mind destination for any upcoming trips. The name also conveys the simplicity of using our services and illustrates that it’s safe, fast and reliable, as easy as click, click and go! 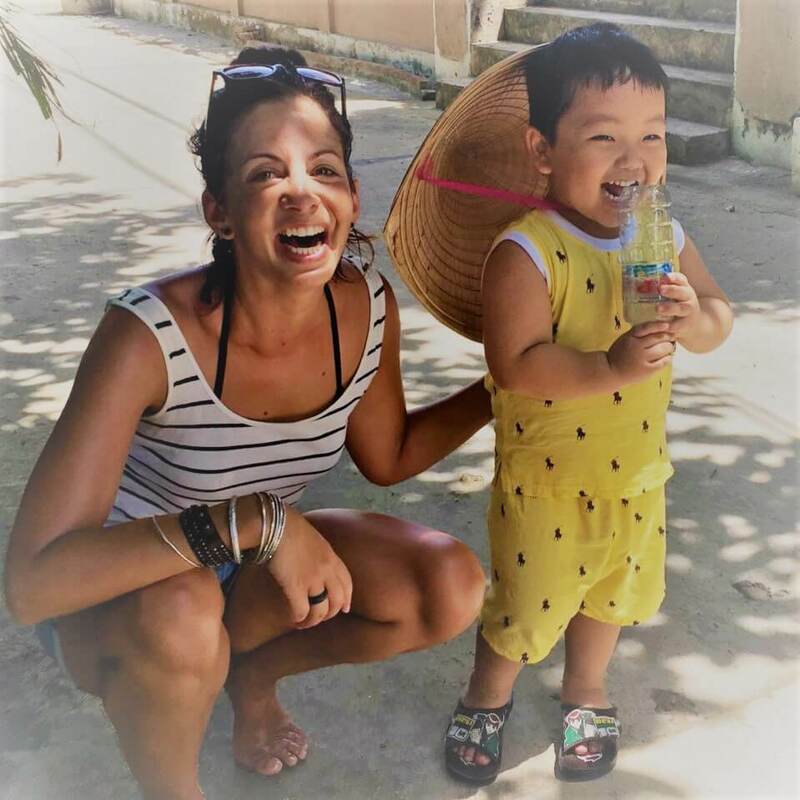 ClickClickGo is a friendly modern brand, accessible to people from all walks of life, whether you travel for business or pleasure. We want the new brand to tie in with our company values as well as the customers we serve and we trust that it will do just that. This brand is young at heart, adventurous and dynamic. We are serious about work and play! We’re positive about the future and encourage others to learn through experience. It’s someone you can talk to, a friend and confidant, someone that always wants to help and assist. ClickClickGo is not complicated and you can always feel safe in its presence! When you use ClickClickGo, we want your interaction with our brand to be a positive experience. We therefore endeavour to make the booking processes as quick, safe and simple as possible and to provide the best customer service we can. Above all, we want to bring you the best travel deals around to ensure you have some money left in your pocket for the fun part of the trip! The new ClickClickGo brand opens up so many new possibilities! Our aim is to, in time, expand our product offering to include other travel booking services that you might require. ClickClickGo should be your one stop travel booking destination shop that is easy to use, safe and fast. We wish to make travel fun, from the moment you book until your holiday starts! We are very excited about this new venture and we hope that you will journey with us! Make ClickClickGo your travel partner for all your travel needs! 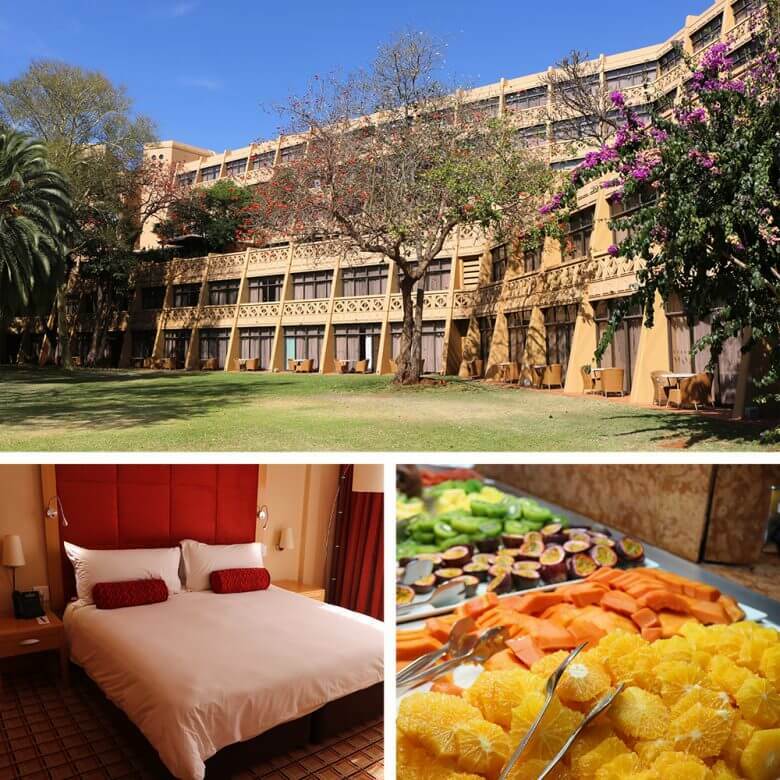 Find us at our new home – www.clickclickgo.co.za – bookmark this page today! Also make sure to follow us on social media. Hope to travel with you soon! I love holidays. But I simply hate packing. Working with limited space and deciding what to squash into that limited space is hard. 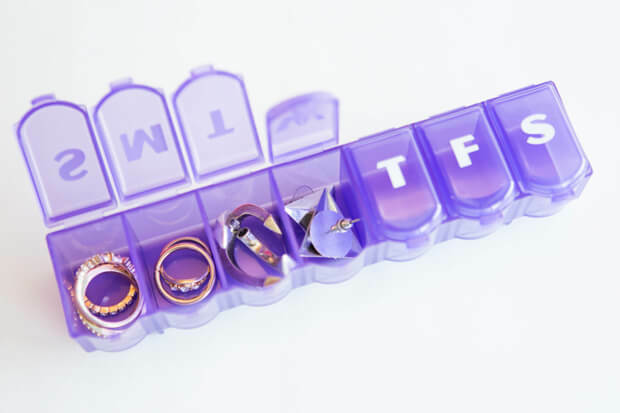 Clothes are always wrinkly, jewelry gets tangled and your favourite shoes or jacket must always stay behind because there is just not enough space! Luckily for people like us, some clever travel experts have discovered the secrets of packing the perfect suitcase and have been so kind as to share some of those tips with us. If you follow these tips (and I will most definitely try them as well! ), you should be able to pack everything you need hassle-free and arrive on the other side with everything still in place! 1. Roll your clothes, don’t fold it. It’ll make packing go much quicker and will save you lots of valuable suitcase space. 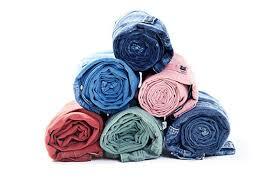 Stack clothes that are prone to wrinkles on top of the rolled up items. 2. Always pack 2 tops for every bottom. This will keep you from over-packing! 3. Stacking your bras inside each other will keep their shape and save valuable space. A good idea is also to pack small underwear items in the cups. And once everything is stacked, fold it in half for even MORE space saving. Just genius. 4. 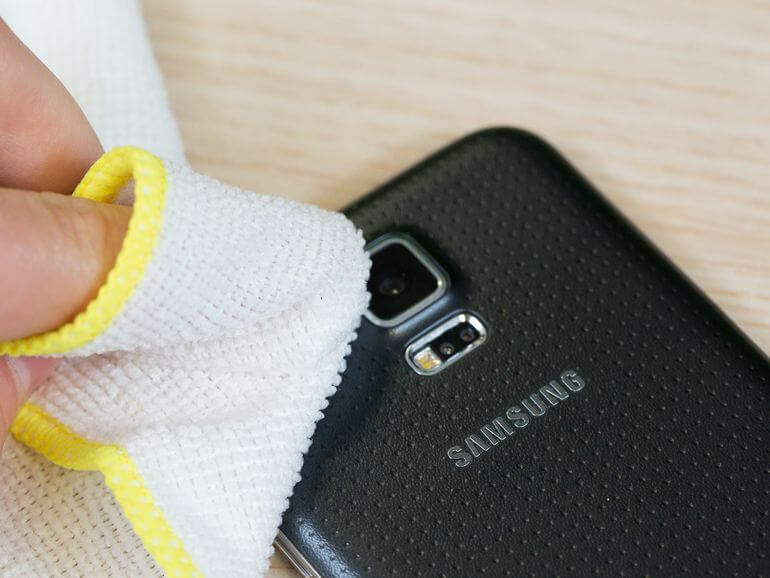 Protect your clothes – Turn light coloured items inside out JUST in case. Once all the clothing items are packed and/or rolled, cover it with a dry-cleaning bag to keep it separate and clean from the rest of the suitcase content. 5. Don’t forget the belts! Coil your belts around the edges of your case. You’ll be able to fit all your ! 6. What to do with the shoes? Cover the bottom of your shoes with shower caps, that way they won’t dirty the rest of your stuff. 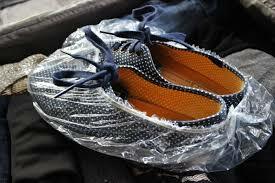 Another brilliant idea is to pack electronics, chargers, earphones and/or sunglasses inside your shoes! 7. 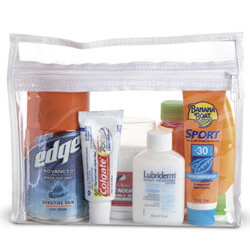 Always always pack your leaky and/or fragile bottles and tubes in a zip lock bag. The one time you don’t do it, it will spill in your suitcase and create a mess and probably spoil the first few days of your trip! Also opt for smaller travel sizes. You can also cover the opening of bottles with cling wrap before replacing the lids. All just extra tips to make sure you have peace of mind on your journey! 9. Fold your underwear – yes, fold those babies. You’ll be surprised at how much space a bunched up bundle of undies can take up! 10. Protect your valuable perfume and other glass bottles by slipping them into socks before stacking them in your suitcase. 11. 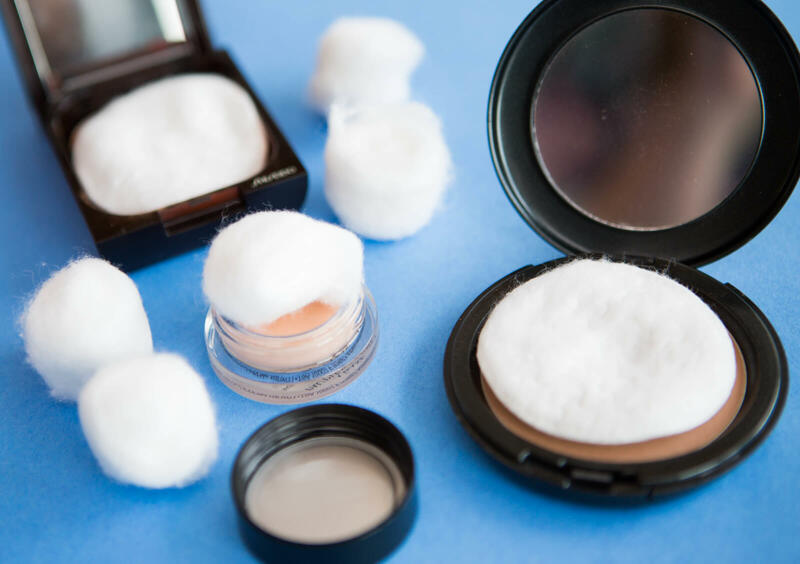 Make sure your powdery makeups stay protected during travels, place a cotton ball inside the compact before you close the lid. 12. Pack an empty bag for laundry. This way your dirty clothes will always be kept separate from the rest. Now you have absolutely no excuses! Try these tips and you might actually start enjoying packing! Book your flights today and put these new tricks to the test! Our phones have become so clever over the years that lugging a huge camera around while on holiday is not necessary anymore. 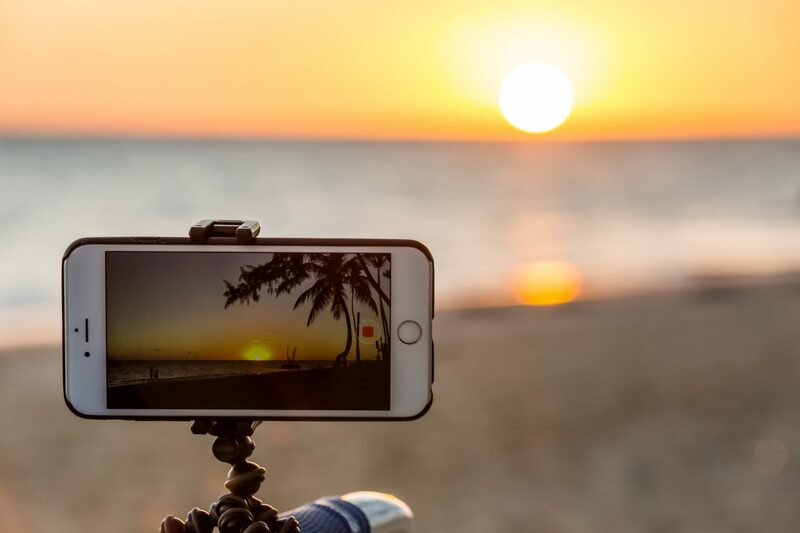 Learn how to use your smartphone camera correctly and your friends will think you’re a budding pro-photographer! Always turn your phone on its side, no matter what shot you’re taking. It makes your photo appear bigger and will give you more room to play with when cropping or framing. Always use the rule of thirds. 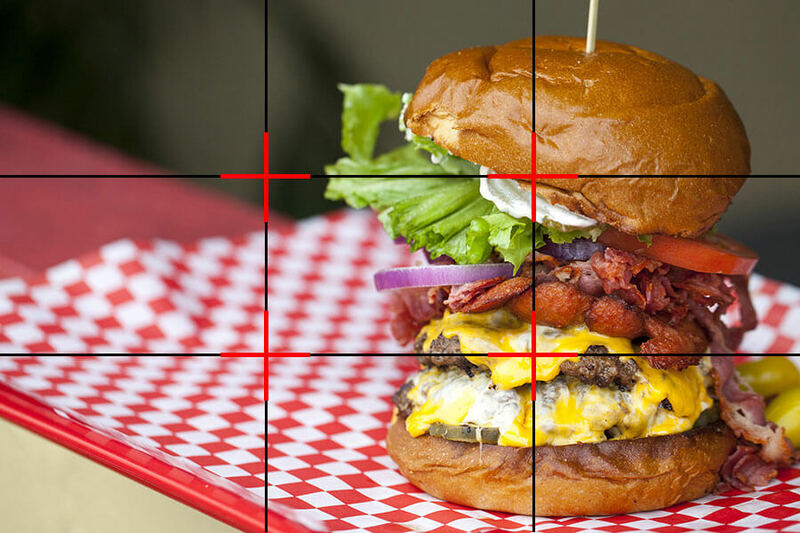 Switch your phone camera’s grid lines on and always place the object on the interception of the lines. The grid lines can be switched on under settings. This will already make your photos look way more professional. A handy tip to remember! Tip #3: Clean your lens! Sticky and dirty lenses do not make the best photos. Make sure to wipe that lens with a soft cloth before embarking on your photography mission. For the landscape shots of your life, always get up early or stay up late. The light and colours will be perfect for a winning photo. You will also find less people around at those times giving you the perfect opportunity to take your time and get that shot. You can’t fix a blurred picture. Ever. So keep your photo super sharp by holding your phone with both hands or leaning against a steady object in order to eliminate any possible shakes. If your phone allows, rather use the volume button to take the picture OR use the self-timer. 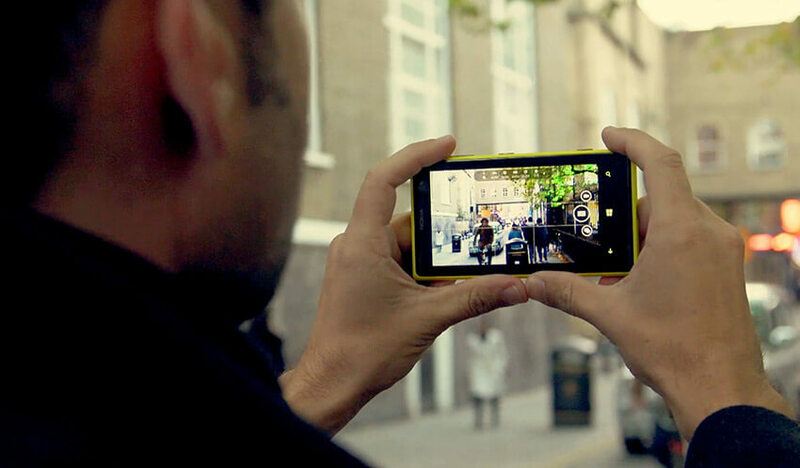 Shooting the picture with the on-screen button might move the phone ever so slightly and ruin the shot. You have legs, use it. The more you zoom, the further you reduce the quality of your shot. 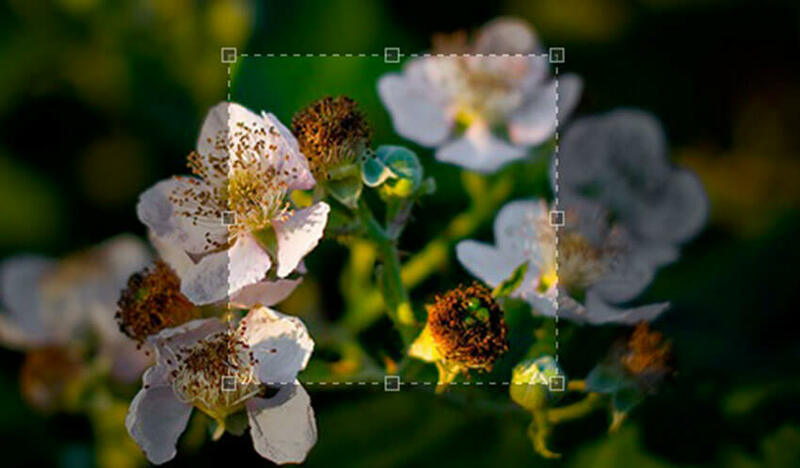 Move closer to the object OR crop the image after taking the picture. Photography apps were developed to make simple pictures look cool. Use it. Just guard against over-processing as this will make you picture look fake. 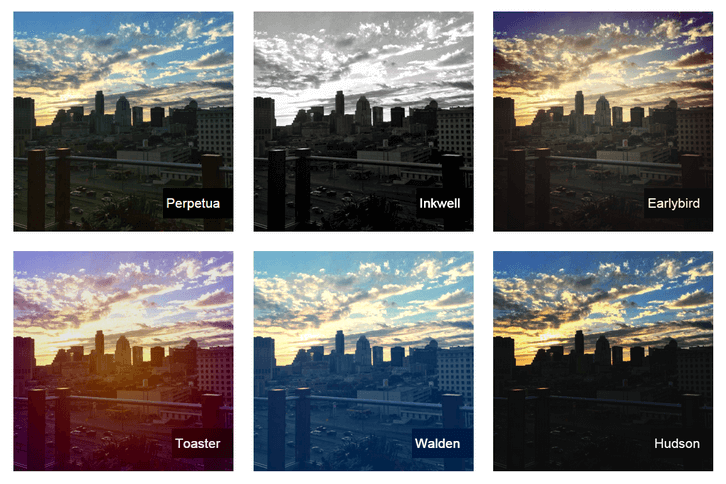 Use quality filters that enhance your image without making it look cheap. 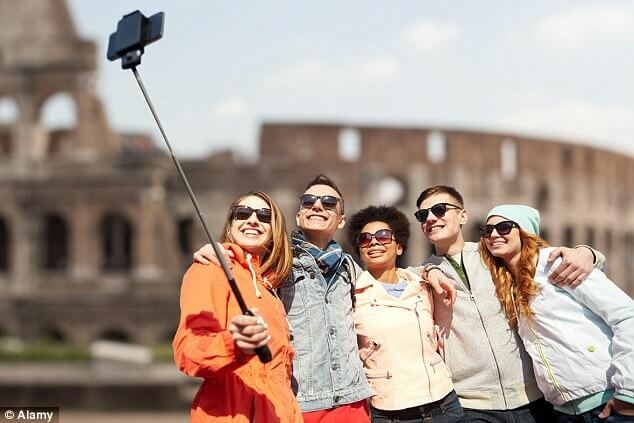 Never use a selfie stick. Unless you’re taking silly pictures of yourself. When taking quality holiday shots, rather get a friend to take a picture for you. The angle that is created by this stick is unnatural and gives your photo a weird look. Now book that flight and start practicing! 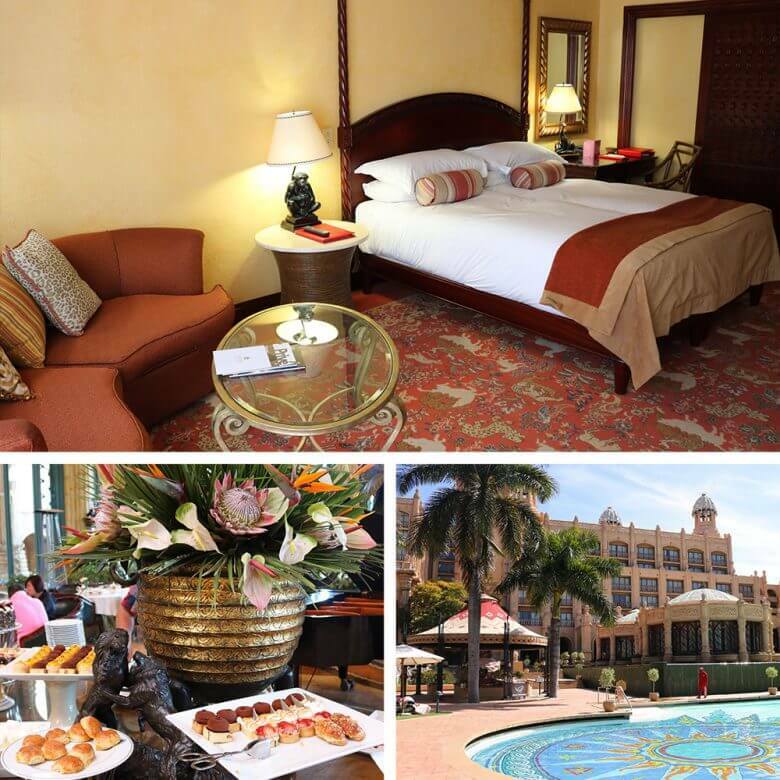 You can definitely pull off a budget weekend in Durban! So you’ve saved some cash booking your airplane tickets through ClickClickGo. Clever start already. 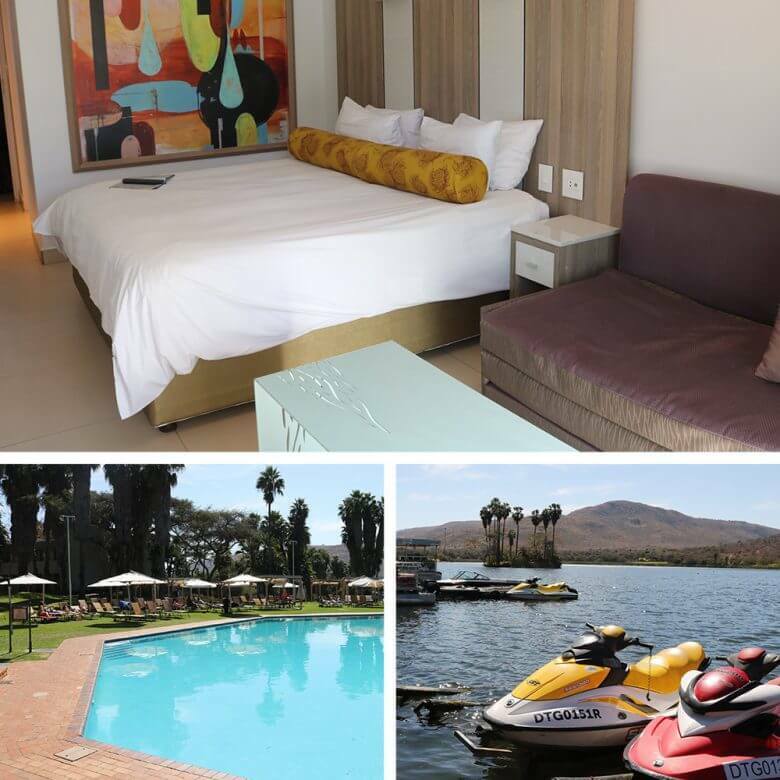 Travel is not cheap but on even a tiny budget you can still enjoy your getaway weekend in Durbs. Follow our rules below and you might even leave with cash in your pocket! 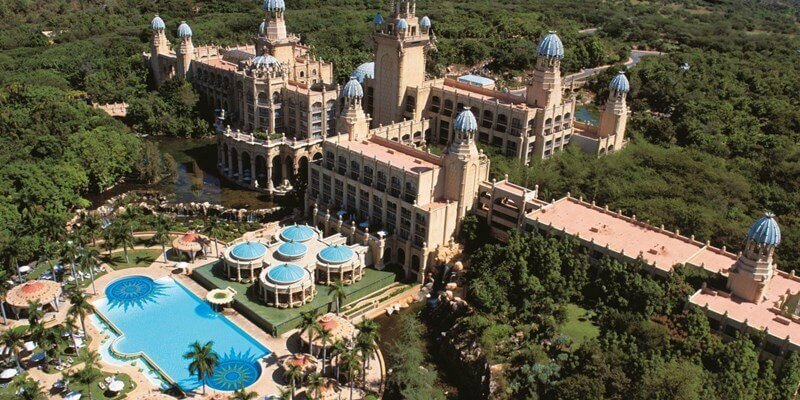 BOOK YOUR DURBAN FLIGHTS HERE! Durban is legendary for its curry shops and bunny chow vendors. Ask the locals for the best deals in town without having to go to bed hungry. On the Sat morning make sure to visit the I Heart Market in front of the Moses Mabhiba Stadium, one of Durban’s best and biggest food and craft markets. Other budget-friendly restaurants worth a visit is the Brittania Hotel on Umgeni Road as well as the Surf Riders Food Shack on North Beach. We’re talking meals between R45 and R70 – perfect! The famous party stretch, packed with bars, restaurants and clubs. You will be sure to find great drink specials to help your budget even further along. Make sure you’re there for Happy Hour between 5pm – 6pm. You are for certain in for a dangerously good time. 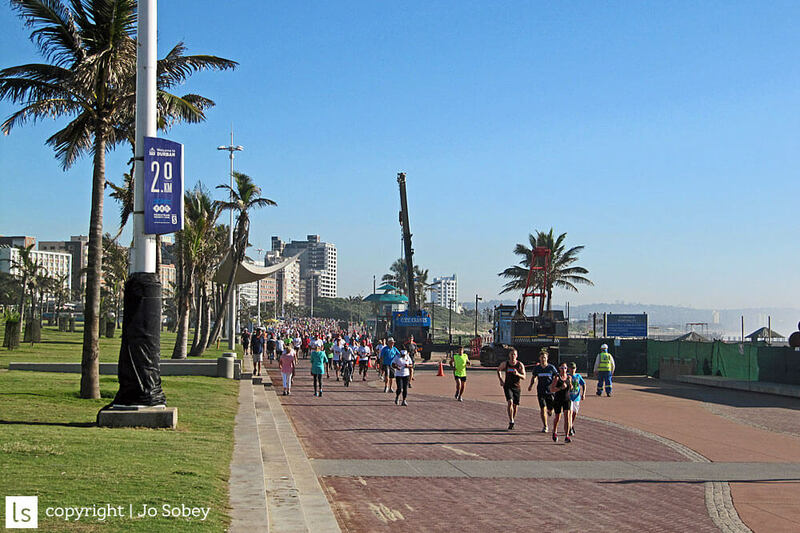 If you’re a nature-lover, Durban with its sub-tropical climate is definitely worth exploring. 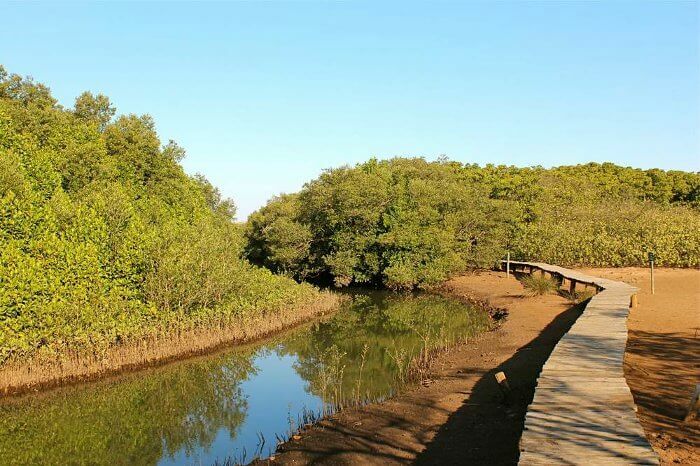 A visit to the Durban Botanical Gardens will open your eyes to the province’s interesting plant life and offers a great opportunity for a picnic. 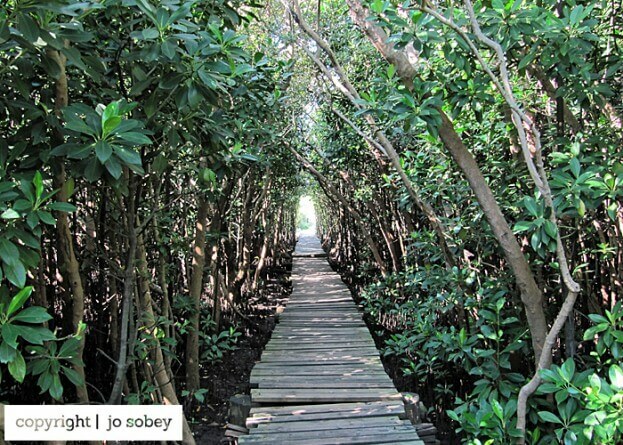 At the Beachwood Mangrove Nature Reserve you can feast your eyes on an incredible wetland environment featuring wading birds, crustaceans, mudskippers and other critters. If you want to stick to the indoors, be sure to visit Durban’s Natural Science Museum, one of the best in the country. 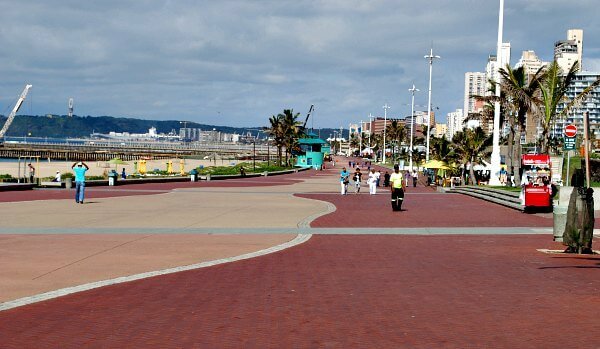 The Durban promenade is one of the most happening spots in Durban, especially after its refurbishment for the 2010 World Cup. 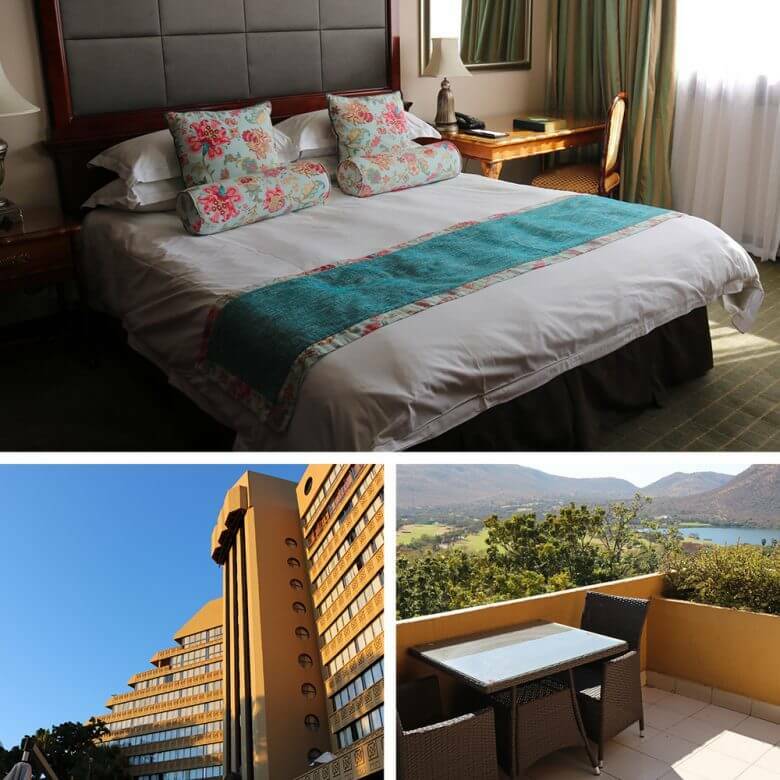 Perfect for your budget getaway the promenade is extremely pocket-friendly with fish ‘n chips shops, stalls and vendors as well as a whole host of cheap entertainment options. Rent a bicycle a see sights while getting some exercise! And if you still have energy left, why not join one of the free Zumba or Yoga classes offered right there. If you do your homework ahead of time it is possible to save cash without having to compromise on entertainment and a good time away. CHEAP FLIGHTS TO DURBAN NOW AVAILABLE!